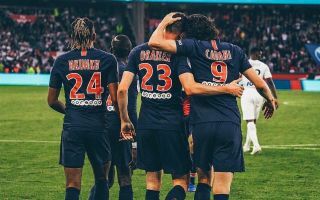 Arsenal are reportedly interested in two top talents based in Ligue 1 ahead of the summer transfer window – Paris Saint-Germain midfielder Christopher Nkunku and Rennes winger Ismaila Sarr. This is according to Charles Watts of football.london, who in a question-and-answer session explains that Arsenal manager Unai Emery is now also one of the main people in charge of transfers. This is somewhat unexpected given the ‘head coach’ role the Spanish tactician was given when he replaced Arsene Wenger at the Emirates Stadium, but Sven Mislintat’s recent departure presumably gives him more of a say over who the club sign. And Watts explains that PSG starlet Nkunku and Rennes’ Sarr, who impressed against Arsenal in the Europa League recently, are among the players the Gunners are looking at bringing in. Many Arsenal fans will perhaps have been hoping for some bigger names, but the club could also do with some up-and-coming young talents like these to boost a squad made up of a lot of ageing players in key positions. “The three areas where Arsenal are prioritising are left-back, a wide attacker and a replacement for Aaron Ramsey,” Watts told football.london.